The 12-lead ECG shown in the Figure was obtained from an older woman who was extremely anxious about her home situation. She felt some “heart sensations”. Is she in atrial fibrillation? Is anything else going on? Figure 1 – 12-lead ECG from an older woman with anxiety and “heart sensations”. Is she in atrial fibrillation? – NOTE – Enlarge by clicking on Figures – Right-Click to open in a separate window. INTERPRETATION: At first glance – the patient appears to be in atrial fibrillation. The rhythm in Figure 1 is irregular, and normal upright P waves are not seen preceding each QRS complex in lead II. That said – artifact is present, and there is some baseline wander in lead II. Even without a lead II rhythm strip – We feel this is not AFib (Atrial Fibrillation). Figure 2 explains why. Figure 2 – Despite irregularity of the rhythm and lack of a consistently upright P wave in lead II – this is not AFib. 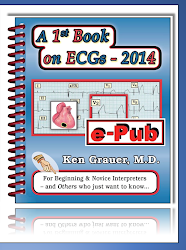 We have added red arrows to the ECG from Figure 1 showing clear evidence of atrial activity in other leads (See text). Note that the overall rhythm becomes fairly regular after the first few beats (the main irregularity being beats #2,3,4 in lead II …). Careful inspection before the QRS complex in lead aVF and in lead V4 does suggest the presence of an upright P wave with fixed PR interval (red arrows in these leads). Thus, although impossible to know for sure without a longer lead II rhythm strip – We strongly suspect an underlying sinus mechanism with frequent PACs (Premature Atrial Contractions) as the rhythm. The occurrence of frequent PACs is clearly one cause of “heart sensations”. The PR, QRS and QT intervals are normal. The mean QRS axis is normal (at about +60 degrees). Figure 3 – We have labeled Figure 1 to illustrate ST-T wave abnormalities in this older woman with “chest sensations” (See text). Q Waves: – Q waves are present in the inferior (II,III,aVF) and lateral precordial (V5,V6) leads. The Q waves in leads III and aVF are relatively deep and wide. The Q wave in lead V6 is wider than anticipated for a normal septal q wave. R Wave Progression: Transition occurs at a normal point (between leads V2-to-V3) – however, there is a fairly abrupt increase in R wave amplitude in lead V3. ST and T Wave Changes: The most concerning finding on this tracing is ST segment elevation in each of the inferior leads. Although the amount of ST elevation varies from beat-to-beat in simultaneously recorded leads II and III (due to baseline wander) – the finding of coved ST elevation above the PR segment baseline is unmistakable (horizontal red lines in in the inferior leads of Figure 3). There is also a hint of ST elevation in lead V6. This is subtle (red line in V6) – and suggested more by shape of the ST segment in lead V6 (which looks to be elevated) – rather than by amount of ST elevation (which at most is minimal). Baseline wander in lead V6 makes ST-T wave assessment especially challenging in this lead. Support that the above findings are truly acute is forthcoming from the presence of reciprocal ST segment depression in multiple leads (I,aVL; V2,V3,V4). An additional subtle reciprocal change is disproportionate peaking of the T wave in leads V3 and V4. We are strongly suspicious of acute evolving infero-postero-lateral MI. Although impossible to “date” the infarction in this case (lack of a history of new-onset chest pain) – there clearly is ST elevation suggesting possible benefit from acute reperfusion. This should be considered as a possible intervention within the context of this case (perhaps assisted by serial tracings, troponins, comparison with prior tracings, and this patient’s clinical course). ST elevation in all 3 inferior leads (II,III,aVF) suggests acute inferior MI. That said – the presence of definite reciprocal ST depression in several lead areas (blue circles in leads I,aVL,V2,V4 of Figure 3) supports the possibility that STEMI (ST-Elevation Myocardial Infarction) may be acutely evolving. ST depression in leads V2,V3 suggests acute posterior involvement. Supporting this finding is the abrupt increase in R wave amplitude between V2-to-V3 and the disproportionately tall T waves in V3,V4. Because none of the standard 12 leads directly view the posterior wall – we generally infer posterior involvement when the clinical setting is “right” (ie, associated inferior MI – since both inferior and posterior walls of the left ventricle are usually supplied by the right coronary artery) – and – when the “Mirror Test” is positive (See Figure 4 below). Awareness that a “left dominant” circulation may be present in the minority of patients whose right coronary artery is relatively smaller – increases our index of suspicion for associated lateral precordial involvement in Figure 3. That is, in approximately 10% of patients – it is the left circumflex artery that is dominant – wrapping around the lateral wall to continue on while supplying blood flow to the posterior and inferior walls of the left ventricle. Thus, in the context of a deeper-and-wider-than-expected Q wave in lead V6 in association with a hint of ST elevation in this lead – we suspect acute infero-postero-lateral MI in Figure1. Figure 4 – We illustrate the concept of “mirror-image” reciprocal deflections by means of the colored inserts in leads I,aVL,V2,V3,V4 (See text). The concept of reciprocal changes is based on the simplified assumption that the left ventricle acts as a cylindrical structure. With acute injury (from acute coronary occlusion) – ST segments elevate in leads directly over the area that is infarcting. 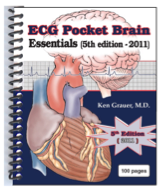 In opposite areas of the heart – instead of ST elevation, there is “reciprocal” ST depression. Given the basic cylindrical structure of the left ventricle – reciprocal changes may be seen in any non-infarcting lead area, since all walls are in a sense “opposite” to one another. Thus, ST depression in lateral limb (I,aVL) and anterior (V2,V3,V4) leads in Figure 4 may reflect “reciprocal changes”. The posterior wall of the left ventricle sees “mirror-image” opposite electrical activity compared to the anterior wall. As shown by the colored inserts in leads V2,V3 of Figure 4 – instead of an RS complex with ST depression – the mirror-image in V2,V3 shows a Q wave, ST elevation and deep symmetric T wave inversion. The “mirror image” of the abrupt increase in R wave amplitude by V3 is a deepening Q wave – and the “mirror-image” of disproportionately tall T waves in V3,V4 is deep symmetric T wave inversion. In the setting of associated acute inferior MI – these changes are virtually diagnostic of accompanying acute posterior MI. Realizing that “reciprocal” ST segment depression is merely the mirror-image of ST elevation in another area of the heart helps with recognition. Note the mirror-image appearance of the QRST complex for the colored inserts in leads I and aVL of Figure 4. There can be little doubt that the ST depression in these high lateral leads represents reciprocal changes occurring in association with this patient’s acute inferior MI. The cause of “heart sensations” in this older woman with anxiety but no chest pain is not AFib. Instead – her underlying rhythm is sinus with PACs. Some of this patient’s “heart sensations” probably relate to her acute inferior MI. Although lack of clear history (no definite onset of chest pain) precludes determination of the age of her MI – the presence of inferior ST elevation with reciprocal changes in several other lead areas strongly suggests at least relatively recent onset (that may therefore potentially benefit from acute reperfusion). This needs further evaluation. Whether the deep and wide Q waves that are already present in leads III and aVF represent prior inferior MI in this older patient (with superimposed new inferior injury) – or – ongoing damage from her acute event that continues to evolve – or – some combination of these possibilities – is impossible to know for sure from the “snapshot” we are given in Figure 1. Time, serial tracings and troponins, exam findings and clinical course will be needed to sort this out. In addition to the inferior wall – other areas of the heart may be involved (posterior and possible lateral precordial area). Regardless of whether ST depression in V2,V3,V4 respresents reciprocal changes – associated posterior infarction – or some combination of these two possibilities is much less important than awareness that the findings of significant ST elevation with associated ST depression in multiple leads signals involvement of a relatively larger area of myocardium (with more urgent need for immediate attention). Figure 1: 12-lead ECG obtained from a patient whose BP was dropping. - NOTE - Enlarge by clicking on Figures. 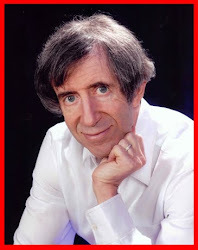 Click HERE to return to ECG Blog #42. Table 1: One should always assume VT until proven otherwise whenever you encounter a regular WCT without sinus P waves. Statistically – at least 80-90% of all regular WCT rhythms of uncertain etiology will turn out to be VT (which is why we list VT for the first 8-out-of-10 causes on this list). 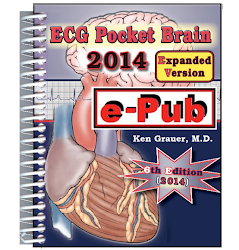 Less commonly – one may see a supraventricular etiology with either preexisting bundle branch block or aberrant conduction. Table 2: After applying Table 1 (ie, "Assume VT until until proven otherwise) - we move to the 3 Simple Rules - which in our experience is often all that is needed for near-definitive diagnosis. Figure 2: Attention to selected ECG features of QRS morphology may be helpful in ruling in or out VT. We focus on leads V1 and V6. The presence of either an entirely negative QS in lead V6 (complex J) or an almost entirely negative complex (I) – is highly suggestive of VT. In contrast – greater positivity in lead V6 (G,H) is nondiagnostic. 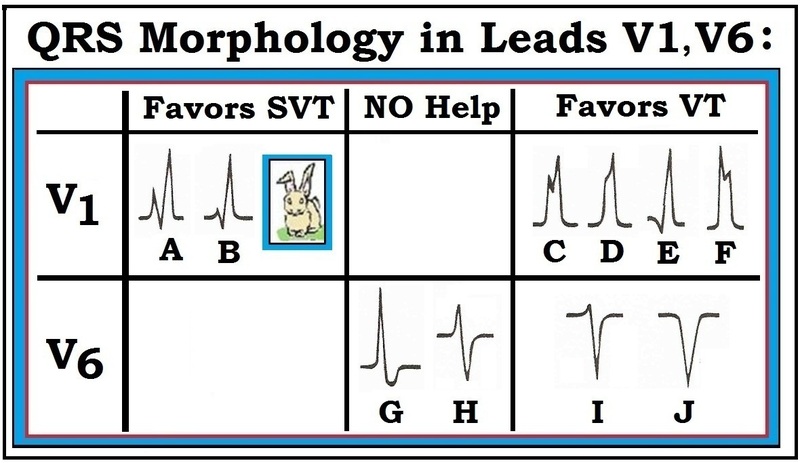 Aberrant conduction is suggested by a typical rsR’ (taller-right-rabbit-ear) morphology in lead V1 (A,B). The presence of any other predominantly upright complex in lead V1 strongly suggests VT (C,D,E,F). We intentionally exclude reference to LBBB aberration in this figure – because both VT and SVT may manifest WCT rhythms that resemble LBBB. 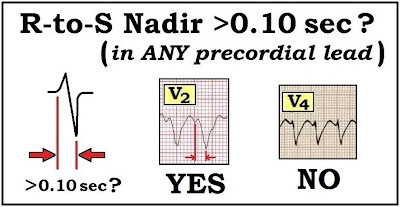 Figure 3: The finding of a delayed R-to-S nadir (to >0.10 second) in any precordial lead is highly suggestive of VT (1st example taken from lead V2). The absence of a delayed R-to-S nadir in any precordial lead is nondiagnostic. Shown above is an example (from lead V4) in which the very slender initial r wave and steep S wave downslope result in an R-to-S nadir that clearly does not exceed 0.10 second. Figure 4: The presence of a large upright R wave in lead aVR during a WCT rhythm is virtually diagnostic of VT (since this finding implies ventricular activation begins in the apex). Finding a QR complex or a small amplitude complex (2nd and 3rd examples shown) is nondiagnostic. Brugada P, Brugada J, Mont L, et al: A New Approach to the Differential Diagnosis of a Regular Tachycardia with a Wide QRS Complex. Circulation 83:1649-1659, 1991. Blomstrom-Lundqvist C, Scheinman MM, Aliot EM, et al: ACC/AHA/ESC Guidelines for Management of Patients with Supraventricular Arrhythmias- Executive Summary. J Am Coll Cardiol 42:1493-1531, 2003. Vereckei A, Duray G, Szenasi G: Application of a New Algorithm in the Differential Diagnosis of Wide QRS Complex Tachycardia. Eur Heart J 28:589-600, 2007. Sasaki K: A New Simple Algorithm for Diagnosing Wide QRS Complex Tachycardia: Comparison with Brugada, Vereckei and aVR Algorithms. Circulation 120:S671, 2009. The ECG shown below was obtained from a patient whose blood pressure was dropping. How many reasons can you cite to support a diagnosis of VT (Ventricular Tachycardia)? Figure 1: 12-lead ECG obtained from a patient whose BP was dropping. — NOTE — Enlarge by clicking on Figures. — Right-click to open (and keep open) in a separate window. NOTE: Because of the length of this Blog — We offer all Tables and Figures at this LINK (on Blog 42-bis) — so as to facilitate side-by-side viewing. Tables/Figures are also found here at the bottom. 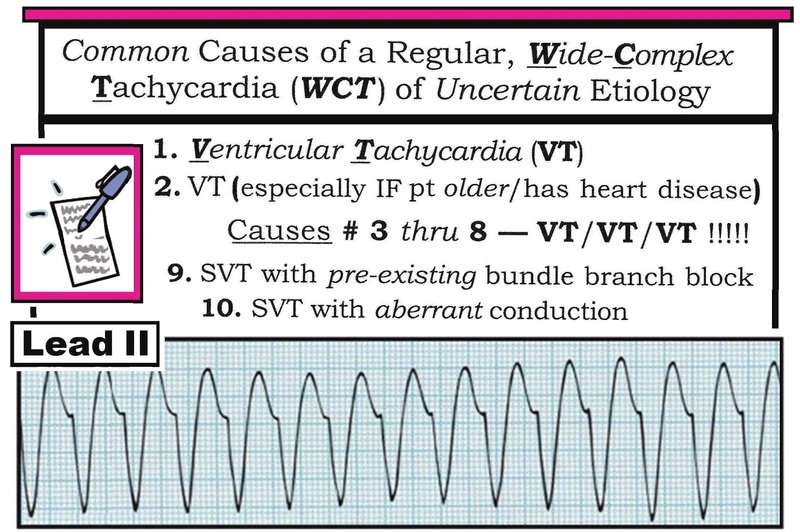 1) Statistically — at least 80% of all regular WCT rhythms of uncertain etiology are VT. The likelihood of VT increases to over 90% IF the patient is middle-aged or older — and especially if the patient has underlying heart disease. Although on occasion regular WCT rhythms may be due to a supraventricular etiology with either preexisting bundle branch block or aberrant conduction — VT must always be assumed until proven otherwise (See Table 1 below or at 42-bis). In addition to being so much more common than wide-QRS complex SVT rhythms — VT is a potentially life-threatening arrhythmia. 2) Extreme axis deviation is present. Mild-to-moderate left or right axis deviation may be seen with supraventricular rhythms. However, total negativity in either lead I or lead aVF suggests extreme axis deviation, and is almost of itself diagnostic of VT.
3) The QRS complex is both markedly widened (to over 0.16 second in many leads) — and — the QRS is lacking in organized morphology (which we convey by describing QRS appearance as “ugly”…). Both features are highly suggestive of VT. Aberrant conduction most often manifests a more organized QRS morphology that is consistent with some type of conduction defect (left or right bundle branch block with or without hemiblock). 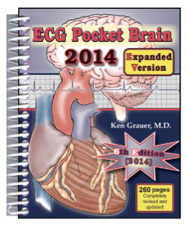 4) There is ECG evidence of delayed initial ventricular activation. The presence of an r-to-S-nadir of more than 0.10 second in one or more precordial leads is highly suggestive of VT. This is best seen in lead V5. 5) One should always assume VT until proven otherwise. The patient should be treated accordingly. 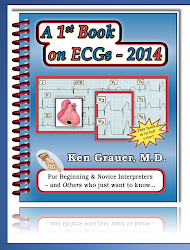 Many ECG criteria have been cited to assist in assessment of WCT rhythms. We extensively review this topic elsewhere (See link to Sections 08.0,09.0 in the References below). For the purposes of this ECG Blog #42 — We consolidate key principles as they apply to the ECG and clinical scenario presented in Figure 1. First determine IF the patient is hemodynamically stable. IF the patient is unstable — it no longer matters what the rhythm is, since immediate electrical therapy (synchronized cardioversion or defibrillation) is indicated. IF the patient with tachycardia is initially stable — BUT at any time becomes unstable — electrical therapy is then immediately indicated. IF the rhythm diagnosis is known to be VT — treat accordingly (See link to Section 07.0 in the References below). IF the rhythm diagnosis of the WCT rhythm is known to be SVT — then a different approach should be followed, depending on our “best guess” as to the etiology of the SVT (See ECG Blog #40 and the link to Section 13.0 in the References below). Special considerations and treatment interventions are warranted for the patient with stable but irregular WCT — given the possibility of Torsades de Pointes, polymorphic VT, and very rapid AFib with WPW (See ECG Blog #36). 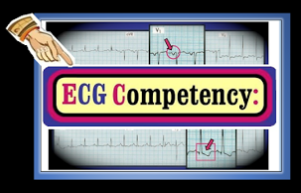 But IF the patient is stable — and — the rhythm is a regular WCT of uncertain etiology – then focused attention to a few selected ECG Features can greatly increase the certainty of our presumed diagnosis. Which ECG Criteria to Use for Assessing WCT Rhythms? We start with 3 Simple Rules (Table 2). In our experience — these 3 user-friendly Rules are all that is needed for near definitive diagnosis of VT in most cases. RULE #1: Is there extreme axis deviation? IF so — then VT is highly likely. We emphasize that mild or even moderate left or right axis deviation (LAD or RAD) does not assist in distinguishing between VT and SVT. But — when there is extreme axis deviation (as seen for the marked RAD in Figure 1 — in which the QRS complex in lead I is entirely negative) — then the chance of VT is greatly increased. 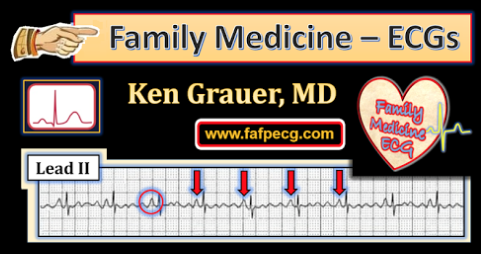 NOTE: The "quick way" to recognize that there is "extreme" axis deviation — is if the QRS complex is entirely negative in either lead I or in lead aVF. And while exceptions exist (ie, some patients with severe heart disease may have extremely abnormal baseline tracings — and some patients with LBBB may manifest an all negative QRS in lead aVF as part of their LBBB) — recognition of "extreme" axis deviation is EASY to do, and often provides invaluable information. 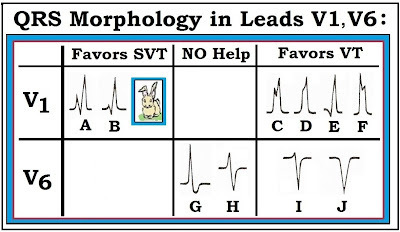 RULE #2: Look at QRS morphology in Lead V6. When the etiology of the rhythm is supraventricular — there will almost always be at least some positive activity traveling toward the LV (and therefore positive in lead V6). 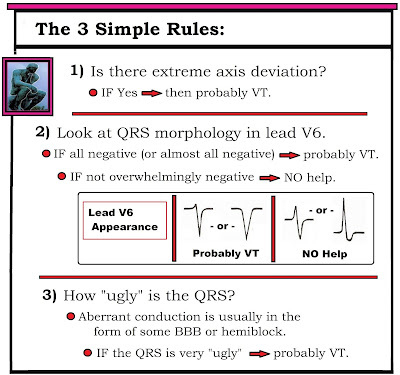 IF ever the QRS complex in lead V6 is either all negative or almost all negative — then VT is highly likely. We emphasize that lead V6 is only helpful when it is predominantly negative. Thus, the positive R wave we see in lead V6 of Figure 1 is not diagnostic (See Figure 2). 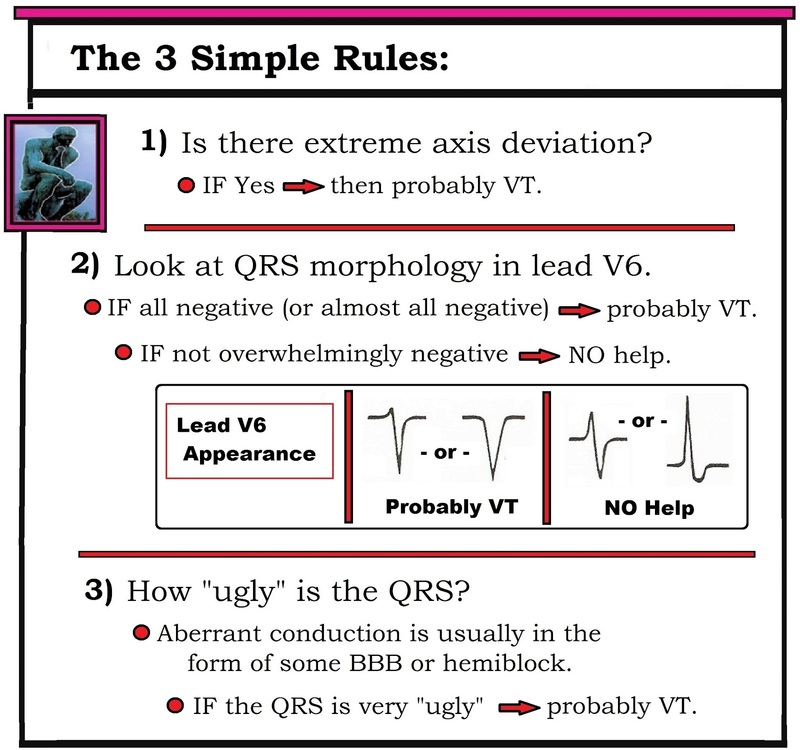 RULE #3: The “uglier” the QRS complex during the WCT rhythm — the more likely the rhythm is VT. The reason for this is that aberrant conduction almost always manifests some form of conduction defect (RBBB, LBBB, LAHB, LPHB – or some combination thereof) — due to relative delay in one or more of the hemifascicles or bundle branches. In contrast — VT originates from a ventricular focus outside of the conduction system (and is therefore more likely to be wider and far less organized in its conduction pattern). The QRS complex in Figure 1 is extremely wide (over 0.16 second) and formless. This makes supraventricular conduction much less likely. Is there AV Dissociation during the WCT rhythm? IF so — this is virtually diagnostic of VT. That said — most of the time, AV dissociation will not be seen unless the rate of VT is relatively slow. Therefore — the absence of AV dissociation is nondiagnostic. However, its presence may be confirmatory. Although it is possible that 1:1 retrograde atrial conduction may be seen in Figure 1 (in the form of subtle notching in the ST-T wave of lead II and in lateral precordial leads) — normal sinus P waves are clearly absent. Thus, there is no indication of AV dissociation. Is there Concordance of the QRS complex in all precordial leads? IF ever all QRS complexes in leads V1-thru-V6 are either all positive or all negative — this is virtually diagnostic of VT. That said — the sensitivity of this finding is extremely low, such that the lack of precordial lead concordance is not helpful. Concordance is not present in Figure 1 — because the QRS is clearly positive in lead V6. 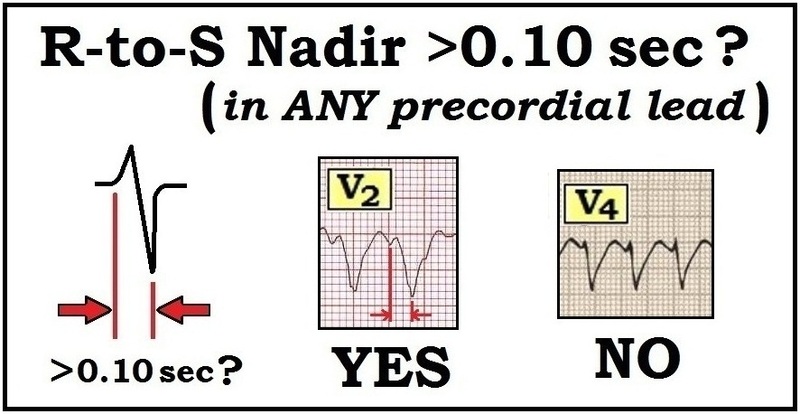 Is the R-to-S nadir in any precordial lead delayed to >0.10 second? Brugada’s 2nd criterion for assessing WCT rhythms (and Sasaki’s 2nd criterion) specify delay in attaining the R-to-S nadir in any precordial lead as highly suggestive of VT (See Figure 3). If no delay is seen in attaining R-to-S nadir — then nothing can be said. The physiologic rationale for the R-to-S nadir delay criterion is that the initial path of supraventricular impulses is usually conducted with no more than minimal delay. Most regular WCT rhythms will manifest an RS complex in at least one precordial lead (IF there is no RS complex in any precordial lead – then by Brugada’s 1st criterion the rhythm is VT!). The main caveat to be aware of is that the boundaries of QRS onset and S wave nadir are not always clear. However — R-to-S nadir in lead V5 of Figure 1 appears to definitely exceed 0.10 second in duration. Is there a tall monophasic R wave in lead aVR? With normal sinus rhythm — lead aVR manifests a predominantly negative QRS complex. This reflects the normal path of ventricular activation — which moves away from the right (away from aVR) — and toward the left ventricle. IF ever the QRS complex in lead aVR during WCT is entirely positive — this means that the electrical impulse must be originating from a site in the ventricular apex and traveling upward toward the base (in the direction of aVR). Thus, a quick look at lead aVR during a WCT rhythm can sometimes tell you (with virtual 100% specificity) that the rhythm is VT (See Figure 4). That said — this criterion is relatively insensitive, such that most of time QRS appearance in lead aVR will be nondiagnostic. Lead aVR is nondiagnostic in Figure 1. Is QRS morphology typical of aberrant conduction? For practical purposes — the only QRS morphology form with high specificity for SVT is the presence of typical RBBB. By far the best lead to recognize this in is lead V1 (See Figure 2 below). Thus, the presence of an rsR’ complex (with ‘taller-right-rabbit-ear’ and S wave that descends below the baseline) — strongly suggests a supraventricular etiology (A,B in Fig. 2). In contrast — any other QRS morphology in lead V1 (C,D,E,F) serves to increase the likelihood of VT. This includes an upright, widened QRS with a notch that does not descend below the baseline (C) – as well as a monophasic R without any notch (D) — a qR pattern (E) — and/or a taller left rabbit ear with or without a notch (F). Assessment of QRS morphology in Figure 1 — clearly does not resemble typical RBBB (instead the QRS is entirely negative in lead V1). As already noted — QRS morphology in Figure 1 is “ugly” (formless) — not suggestive of either typical LBBB or RBBB — and therefore strongly in favor of VT as the etiology. NOTE: For there to be "typical RBBB morphology" — in addition to the above described rsR' complex, there should also be wide terminal S waves in leads I and V6. Without these findings in all 3 of the key leads (ie, leads I, V1, V6) — there is not a "typical" RBBB pattern, and the specificity for distinction between VT vs SVT is lost. Clinical Parameters: While exceptions definitely occur — the fact that a patient is “younger” and previously healthy prior to the arrhythmia episode does make an ischemic form of VT much less likely. In contrast, even before looking at specific ECG features — IF the patient presenting with a regular WCT of uncertain etiology is “older” and has a history of significant heart disease — then then statistical likelihood of VT approaches 90%. Is the patient “older” ? While there are no specific age “cutoffs” for what is ‘older’ or ‘younger’ — a patient in their 20’s, 30’s or early 40’s is relatively more likely to have SVT than a patient older than 55. This is especially true IF this younger adult was previously healthy with no known underlying heart disease. A select group of VT rhythms (as many as 5-10% of all VT rhythms) — may respond to Adenosine! While certain ECG characteristics may suggest an adenosine-responsive form of VT (See ECG Blog #35) — ECG recognition of adenosine-responsive VT will not always be possible. Awareness of this clinical reality provides a rationale for trial of empiric Adenosine at an early point in the treatment approach to monomorphic regular WCT. Adenosine-responsive forms of VT — are much more likely to occur in younger adults without underlying heart disease. They often occur during exercise — and the patient will often remain hemodynamically stable during the WCT rhythm. Thus, even IF a previously healthy young adult presents with VT — the chances are surprisingly good that the rhythm will respond to Adenosine. That said — the above discussion does not apply to the case in Figure 1, because the patient was unstable and in need of immediate cardioversion. Always think, “VT until proven otherwise” — whenever you encounter a patient in a regular WCT rhythm of uncertain etiology. Treatment will depend on hemodynamic stability and clinical parameters. 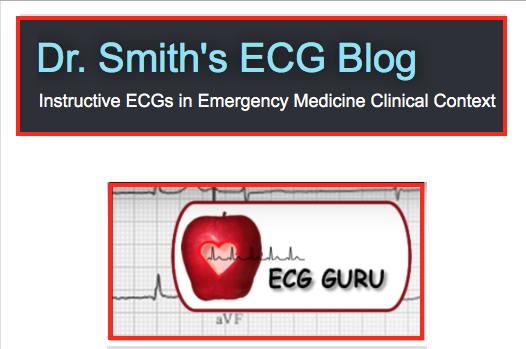 Our hope is that review of this ECG Blog #42 will increase your comfort in the relative certainty of your rhythm diagnosis. Table 1: One should always assume VT until proven otherwise whenever you encounter a regular WCT without sinus P waves. 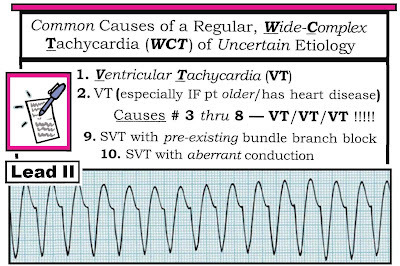 Statistically — at least 80-90% of all regular WCT rhythms of uncertain etiology will turn out to be VT (which is why we list VT for the first 8-out-of-10 causes on this list). Less commonly — one may see a supraventricular etiology with either preexisting bundle branch block or aberrant conduction. Table 2: After applying Table 1 (ie, "Assume VT until until proven otherwise) — we move to the 3 Simple Rules — which in our experience is often all that is needed for near-definitive diagnosis. Figure 2: Attention to selected ECG features of QRS morphology may be helpful in ruling in or out VT. We focus on leads V1 and V6. The presence of either an entirely negative QS in lead V6 (complex J) or an almost entirely negative complex (I) — is highly suggestive of VT. In contrast — greater positivity in lead V6 (G,H) is nondiagnostic. Aberrant conduction is suggested by a typical rsR’ (taller-right-rabbit-ear) morphology in lead V1 (A,B). The presence of any other predominantly upright complex in lead V1 strongly suggests VT (C,D,E,F). We intentionally exclude reference to LBBB aberration in this figure — because both VT and SVT may manifest WCT rhythms that resemble LBBB. Blomstrom-Lundqvist C, Scheinman MM, Aliot EM, et al: ACC/AHA/ESC Guidelines for Management of Patients with Supraventricular Arrhythmias — Executive Summary. J Am Coll Cardiol 42:1493-1531, 2003.